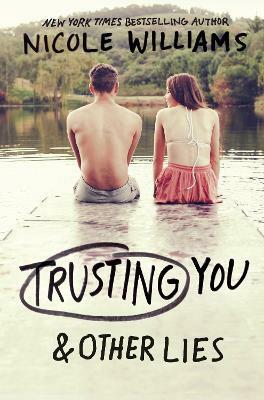 A seductive summer romance worth swooning over from a USA Today and New York Times bestselling author, perfect for fans of Sarah Dessen and Stephanie Perkins. Nicole Williams is the USA Today and New York Times bestselling author of Crash, Clash, and Crush, and numerous other titles. She pulled from her own experiences of attending summer camps to craft Phoenix's story--although she left out her memories of dead fish hidden in sleeping bags. Nicole loves reading and writing books about star-crossed lovers and happy endings, but believes some of the best stories are the ones we create every day. Nicole lives with her family in the Evergreen State, where there's an abundance of lakes to swim in and trails to jog on. Visit Nicole on Twitter at @nwilliamsbooks or on her blog at nicoleawilliams.blogspot.com.